New Year Resolutions may have just got a whole lot easier to achieve in 2018 with what we’re hearing about a new product from Hard Rock. 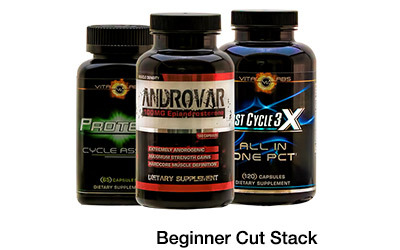 Physique fanatics are often torn between the more physically taxing cycle requiring on-cycle/post therapy and the lower cost less onerous all natural alternatives. Well whispers are being heard that Hard Rock Supplements is looking to start the year strong, and if the rumors are true, fitness fanatics may be in for a huge surprise. A Laxogenin / 7-keto DHEA / Arimistane / +++ super shredder poised to deliver hard lean muscle gains all the while accelerating fat loss. If the rumors are true this product should deliver a much lower overall cycle cost to comparable more potentially body taxing alternatives, yet provide solid gains. With shredding season nearly upon us, every veteran knows the benefits of adding a strong cutting agent to your arsenal. An effective one should help you to maintain your hard-earned gains and increase your strength and endurance, while aiding in reducing overall fat mass. Most fall short of the mark, leaning too far one way or another. Combine that with the loss of several Top 10 Cutting Agents over the past few years, and the market has become resigned to only a few top choices. 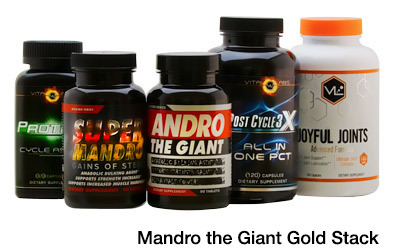 Hard Rock Supplements is known for cutting edge, top of the line products, many of which grace the coveted spots on the Top 10 lists each year, sometimes more than once per list as was the case in 2017 where they hold the Top 3 Cutting Agents spots. Rumbles among the industry have identified True Shred (said to be the working name) as the potential answer to the cry for a new breed of cutting agent; one that has no prohormones at all and requires no on-cycle support or PCT. 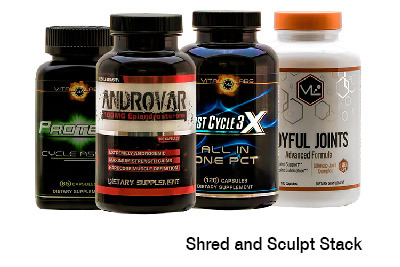 True Shred relies on several major compounds to assist in increasing lean mass, strength, libido, and metabolism, all while helping to lower estrogen and fat mass. The first compound is Laxogenin, a derivative of Fenugreek, which is clinically proven to increase strength training and enhance favorable body composition (1). Laxogenin can also aid in reducing the stress hormone cortisol, which can cause increased fat and water retention. True Shred also reportedly contains Colostrum, which has been shown to have oxidative-stress reducing properties in relation to skeletal muscle breakdown (2). Basically this means that supplementing with colostrum can help repair and rebuild muscle tissue when under stress from exercise. Finally, several forms and derivatives of 7-keto DHEA, a naturally occurring yet non-hormonal metabolite of DHEA, combine to make True Shred a potential knock-out for fat. These compounds, like arimistane, are clinically proven to aid in fat loss while blocking estrogen and even potentially raising serum T3 levels, responsible for increasing metabolism (3). This could help decrease that stubborn last bit of fat and boost libido. 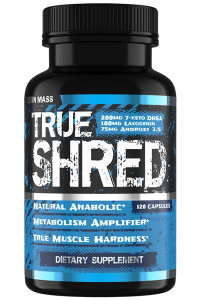 True Shred is reported to hit shelves in early 2018, though there is no indication of a release date or final formulation just yet. Stay tuned to Strong Supplement Shop to follow the production journey and stay updated on whether or not it promises to be the new savior of Cutting Agents. Thank you for your comment. We feel the same way! I’m excited to try this when it becomes available. Please let me know! Hi Jared – Thank you for your comment. Please make sure you signed up for the email so you can take advantage of the deal when it drops. True Shred is said to be almost ready, we expect it at any moment. I’m signed up. Will I receive that deal? Hi Dallis – Thank you for your comment. If you signed up for the email then you will get the True Shred deal when its released, as well as all the other deals including new releases. This year there are going to be a ton of new releases as changes in the industry are giving way to more products than normal. Hi Ap3 – Thank you for your question. Not 100% certain of the exact date, but rumor has it that it can be at any moment. The company rep is suppose to send us new details at any time, stay tuned.